Length of rule: 19 years. 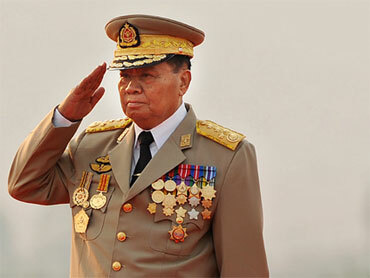 Shwe appointed himself Senior General of the ruling military junta in 1992. However, last November, Shwe allegedly gave up his senior post to former General Thein Sein, 66, although above Sein sits a state supreme council headed by Shwe. Myanmar held its first elections in two decades late last year, which were decried in the West as a sham, with military-backed candidates and soldiers winning every top post, all amid widespread reports of voting irregularities. Most despotic acts: Amnesty International recently described human rights violations in Myanmar as "widespread and systematic." As many as a million Burmese have allegedly been shipped off to jungle gulags, or rural slave camps, and forced to perform manual labor in the last ten years. There is no free speech. Dissent is not tolerated. Most recently, there were mass demonstrations in 2007, led by crowds of Buddhist monks, but they were put down by security forces who killed and beat and detained hundreds. There were persistent rumors that thousands of monks and others were rounded up and summarily executed and their bodies simply dumped in the jungle. Outlook for change: The greatest hope for democratic change is Nobel Peace Price-winner Aung San Suu Kyi, who had been under house arrest for most of the last 21 years. However, due to the heavy restrictions on foreign press, it is impossible to know the true stability of the junta. Sen. John McCain visited Myanmar on Wednesday to assess democratic reforms, and many observers predicted there would be none really to be found. A Wall Street Journal story on the visit states: "U.S. officials have said that they don't believe the (recent) elections represented significant progress, and that they have no intention of easing sanctions unless more meaningful changes occur, including the release of 2,000 or more political prisoners." Population: 53,999,804; Burman 68 percent, Shan 9 percent, Karen 7 percent, Rakhine 4 percent, Chinese 3 percent, Indian 2 percent, Mon 2 percent, other 5 percent; Median Age is 27. Constitution and the Rule of Law: Military junta; Everyday law based on English common law.